Mike has more than a billion dollars in project experience in industries including healthcare, manufacturing, sports, hospitality and industrial facilities. Mike is well-versed in the management of self-perform work, the pre-construction process with architects and owners representatives, and the renovation and expansion of existing operating facilities. 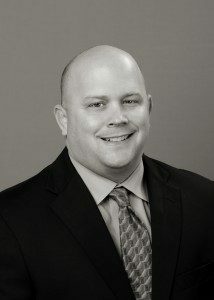 Mike’s aptitude in financial management makes him an invaluable member of the Calhoun team and a major asset to clients. Senior project manager: Renovation of a university Inn to increase square footage from 72,000 to 137,500 with more than 50 new rooms. The renovation accommodates larger guest rooms, king beds, a new south wing adding nearly a dozen suites to the Inn, a 300-seat ballroom, bistro, and enlarged lobby entrance. Renovation also included replacing the building’s 60-year old plumbing, cooling, heating, and electrical systems. The design and construction are built to meet LEED Silver certification. Project manager: Performed the project buyout, negotiated subcontracts and supervised the subcontractors through the construction and close out of a 200 room design build hotel project for the U.S. Army Morale, Welfare and Recreation program. Project manager: New multi-purpose arena. This 700,000 square-foot superstructure contains a cast-in-place frame with long span steel roofing structure. With the capacity to seat 22,000 spectators, the adjacent 700-space, 240,000-square-foot parking structure gives them a close place to park for each event. Project manager: Managed multiple small projects in a fast track renovation of an existing operating 23,000 seat arena. Project included thirteen individually permitted, budgeted and scheduled projects. Senior project manager: Scheduled and coordinated a 107,000 square foot phased football stadium expansion project around the college football season to ensure building egress and all fire life safety codes are met.